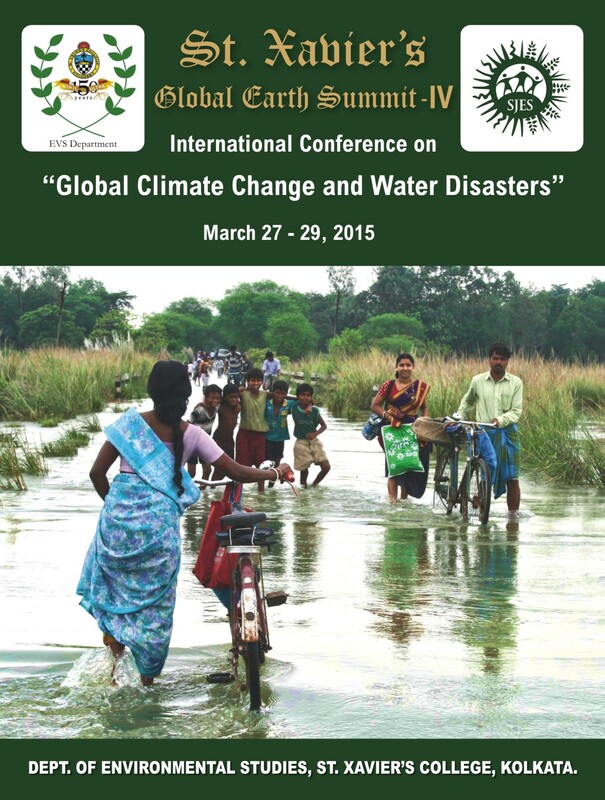 St. Xavier’s Global Earth Summit IV, with the conference theme “Global Climate Change and Water Disasters” to be held on March 27-29, 2015 at Dhyan Ahram, Konchowki near Kolkata. 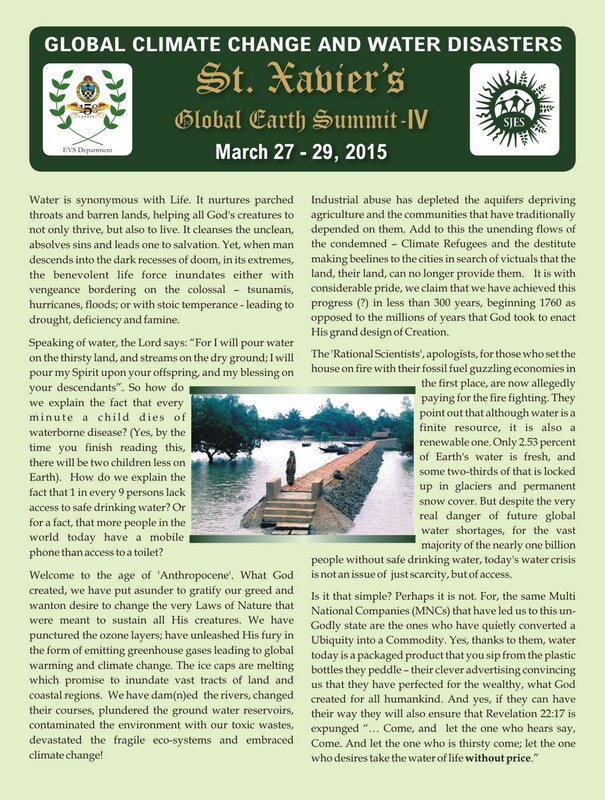 The St. Xavier’s Global Earth Summit IV, with the conference theme “Global Climate Change and Water Disasters” will be held on March 27-29, 2015 at Dhyan Ahram, Konchowki. 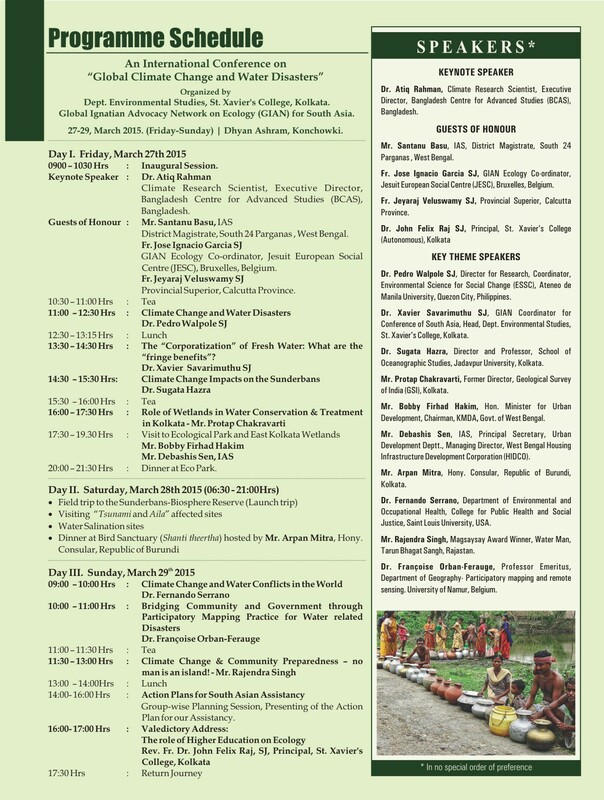 The Conference is being organised by the Department of Environmental Science, St. Xavier’s College, Kolkata in association with the Social Justice and Ecology Secretariat (SJES), Rome, Kolkata Metropolitan Development Authority (KMDA), Kolkata and the Collectorate, South 24 Parganas, West Bengal. ITC India is the title sponsor to this event. Fr. Eugene LaFont (1837 – 1908), considered by many as the Father of modern science in India, had, with his elementary equipment in the laboratory, set up in the St. Xavier’s College, Calcutta, forecasted and alerted the administration of an impending cyclone. 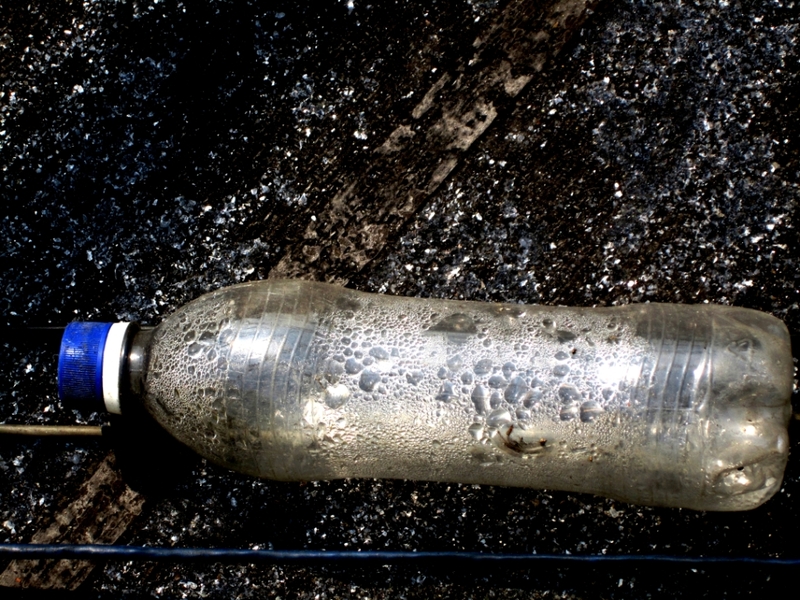 That was the first instance of St. Xavier’s long and enduring obsession with water in its multifarious forms. Fr. Felix Raj, the Principal said, “It is heartening to note that what had begun in Fr. LaFont’s laboratory as an academic exercise was nurtured with enthusiastic persistence by successive generations of Jesuits and Xaverians; it has come full circle with this summit which takes the Jesuit Zeal to further dimensions. From academics to activism, to the augmented realism in the study of and response to preparedness of Climate Change – St. Xavier’s, continues to be true to its pursuit Nihil Ultra! (Nothing Beyond)”. In the words of Fr. Jeyaraj Veluswamy, the head of the Jesuits in West Bengal, “An illustrious list of academicians: prime movers of their respective domains are expected to share their insight, enlightening and enriching us all”. FR. Xavier, the head and Convener of the summit noted that “The ENVS department has organised 3 chapters of the Earth summits with the themes “A sustainable Earth, Nihil Ultra” in 2011, “The Environmental Migrant- The human Face of Climate Change” in 2012, “Environmental Stewardship and Corporate Social Responsibility” in 2013 and are now ready to approach water – which many believe, will be the cause of the next world war. 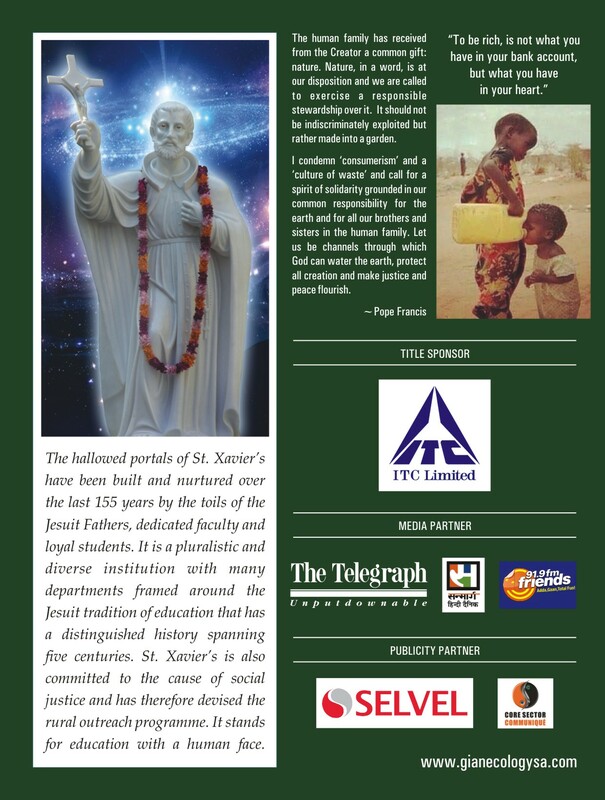 Jesuit Fathers who are engaged in teaching and working on the ground fighting the ill effects of Climate Change from around the world will be attending the conference along with teachers and students of the St. Xavier’s College, Kolkata. The international speakers comprise of Keynote Speaker, Dr. Atiq Rahman, Climate Research Scientist, Dhaka, Key Theme Speakers Dr. Pedro Walpole SJ, Ateneo de Manila University, Quezon City, Philippines, Dr. Fernando Serrano, Saint Louis University, USA, Dr. Francoise Orban-Ferauge, University of Namur, Belgium. Shri. Rajendra Singh, Magsaysay Award Winner, Water Man, Tarun Bhagat Sangh, Rajastan, Dr. Sugata Hazra, Jadavpur University, Kolkata,Mr. Protap Chakravarti, Former Director, Geological Survey of India, Kolkata, Dr. Xavier Savarimuthu SJ, Head, Environmental Studies, St. Xavier’s College, Kolkata, will be the key theme speakers nationally.